New Zealand is heavily reliant on our "Dairy" industry, of treating Females as slaves, frigging with their feminine parts, forcibly impregnating them, killing or re-enslaving their children...for a white fatty liquid designated for their babies. Surely, as adult humans we should be weaned? Nooo, of course not, we should invade the Middle East so we can sell stolen breast milk at a later date! I live in Invercargill, in the Southland region of New Zealand. "According to the 2001 New Zealand Census of Population and Dwellings, it has a population of 570, 300 males and 270 females, representing a rise of 0.5% or 3 people since the 1996 census." can also boast "the worlds largest Milk dryer"
"A new $212 million milk dryer commissioned this week makes the Edendale dairy factory the biggest raw milk processing plant in the world, according to Fonterra. The new dryer, called ED4, is the world's largest and most efficient milk dryer, capable of producing 35 shipping containers full of milk powder every day, the co-operative said. The dryer has the capacity to turn 100 litres of milk into 10 kilograms of milk powder every second, and can produce more than 700 tonnes of milk powder a day. Fonterra New Zealand manufacturing general manager Brent Taylor told The Southland Times the new dryer highlighted the importance of Edendale and Southland to the co-operative." This tiny little town of Edendale, to have this colossal complex of buildings, with coal powered boilers drying out the stolen breast milk of other animals. Its horrible. 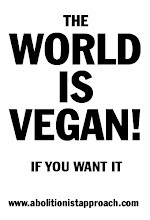 Its as easy to be Vegan as not, and its the *least* others deserve. Not to be seen as a "thing", as an "it", but as our Friends.